A year ago, the Federal Trade Commission announced an investigation into Facebook’s privacy practices after a whistleblower leaked news that political consulting firm Cambridge Analytica had used Facebook to collect information about users and their friends and keep that data without users knowing. So what difference does a year make? Certainly, the volume of the backlash against “Big Tech” has increased. Facebook continues to bear the brunt of this backlash — for massive privacy violations, anticompetitive practices, and accusations of bias against conservative speech. And other online platforms, such as Google and Amazon, are hearing “break ‘em up” cries. But perhaps the most significant change is that the Big Tech backlash is bipartisan. Do we all agree we hate Big Tech? Many in the policy world have been eagerly awaiting results from the FTC’s probe into Facebook. Indeed, Aleksandr Kogan, the academic who mined Facebook for Cambridge Analytica, filed a defamation suit against the social network. Kogan said that he had been waiting on investigations by the Department of Justice, the Security and Exchange Commission, and the FTC to wrap up before filing, but the statute of limitations "forced our hand." Lawmakers are increasingly critical of the FTC's failure to address privacy violations. How the commission chooses to respond to Facebook’s repeated abuses will determine whether it is willing or able to promote competition and protect consumers. If the commission does conclude that Facebook has violated the consent order, how it fixes this problem through a legal remedy will be a test of its effectiveness. And last week, Senator Josh Hawley (R-MO) sent a letter to the FTC urging the agency’s leaders to take a more aggressive stand toward Silicon Valley. 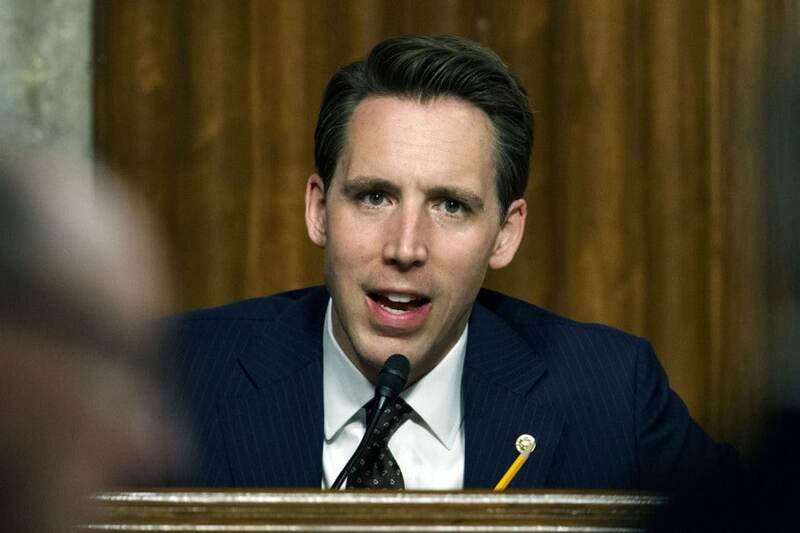 Senator Hawley said the FTC so far “has been toothless,” and he urged the agency to use all the power at its disposal to probe big tech companies — or tell Congress if it’s outmatched and needs help. But who is to blame for a "toothless" FTC? Congress has spent the last 40 years training agencies to not do their job and leave big industry players with political pull alone by abusing them at hearings, cutting their budgets, and — when necessary — passing laws to eliminate or massively restrict whatever authority the agency just exercised. Congress must do more than continue to flog the FTC for its failure to act (although, to be frank, some of that is justified). Congress needs to actually take legislative action to protect consumer privacy and promote competition in the digital platform space. Congress needs to actually provide the agency with the resources to do the job effectively. And if the FTC actually starts to take a less toothless approach, Congress needs to actually support the FTC in the face of industry pressure. Could both sides of the aisle now want to work to ensure that the FTC has the capacity to effectively protect consumers? On Wednesday, House Commerce Committee Chairman Frank Pallone, Jr. (D-NJ) and Consumer Protection Subcommittee Chair Jan Schakowsky (D-IL) wrote to the FTC asking how the agency would use additional resources to protect consumer privacy and increase data security enforcement activity. “What would the FTC be able to accomplish with 100 new attorneys focused on privacy and data security that it cannot do with current resources?” they asked. On Thursday, FTC Chairman Joe Simons disclosed to senators that the FTC is planning to launch a wide-ranging study of tech companies' data practices, in addition to the investigation of Facebook. The FTC is planning to conduct a so-called 6(b) study, enabling the FTC to order companies to turn over detailed information about their business practices. That could force tech companies to share closely held corporate secrets about their inner workings that they've long resisted disclosing. The FTC has previously applied a 6(b) study to data brokers and businesses accused of abusing the federal patent system. Some key lawmakers have called for such a study. In November, then-Senate Commerce Chairman John Thune (R-SD) asked Chariman Simons if the FTC would consider ordering a 6(b) study on Google, Facebook and Amazon "to learn what information they collect from consumers and how that information is used, shared, and sold." Chairman Simons at the time called that option a "powerful tool" that "very well might make sense" but did not reveal any specific plans. Paid teenagers to spy on their behavior, even asking users to screenshot their Amazon order history page. Secretly collected highly sensitive data through the back doors of other apps, such as ovulation trackers, to target ads at users even if no Facebook account is used to log in and if the end user isn’t a Facebook member. Engaged in campaigns to obstruct congressional oversight and to smear and discredit critics — tactics reminiscent of the big tobacco playbook. I think Facebook is an extremely creepy company. I don’t know if they’ve done a good job with anything. I’m not a very big fan. We need to have a discussion, though, about what antitrust looks like when applied to the tech world. Our antitrust laws and our antitrust doctrine in the courts are not really developed to talk about this. So we’ll have that discussion in the courts. It should probably also happen here [in Congress]. You have to think about privacy. You have to think about competition. You have to think about speech bias. I mean, these companies are so huge and their influence is so massive that any action impacts huge parts of society and law. On conservatism and antitrust, he said, “If you believe in the free market then you’re not a monopoly. You have to be for free, open, fair competition and that’s what we’re talking about here. Monopoly control of markets that is anti-competitive, that keeps new competition out, that is not pro-free market. That is not something as a part of conservatism that I’ve recognized." As Republican lawmakers begin to call for antitrust measures, their main aim may be in regulating content. Republicans like Senator Ted Cruz (R-TX) have long sought to take action against Facebook and it's perceived political bias. But this week, President Donald Trump raised the volume. On Tuesday, Trump’s social media director, Dan Scavino, accused Facebook of “silencing” him because he was briefly unable to reply to comments posted on his page. In a statement, Facebook later pointed to a policy — meant to stop automated accounts — that prevents “repetitive automated activity” coming from one user over a short period of time. “These limits can have the unintended consequence of temporarily preventing real people like Dan Scavino from engaging in such activity, but lift in an hour or two, which is what happened in this case,” a spokesman said, apologizing for the mishap. At a press conference later that day with Brazilian President Jair Bolsonaro, President Trump expanded on his comments about "big discrimination" against Republicans. "It seems to be if they're conservatives, they're Republicans, they're in a certain group, there's discrimination, there's big discrimination," President Trump said. We have to do something. I have many millions of followers on Twitter, and it is different than it used to be. Things are happening, names are taken off. People are not getting through. We use the word "collusion" very loosely all the time, and I will tell you that there is collusion with respect to that, because something has to be going on. When you get the back office statements made by executives of the various companies, and you see the level of hatred that they have for a certain group of people, that happen to be in power, and happen to have won the election, you say that is unfair. Something is happening with those groups of folks running Facebook, Google, and Twitter. I think we have to get the bottom of it. It is collusive and it is very fair to say that we have to do something about it. If we do not, the incredible thing is that we can win an election, and have such a stacked deck, which includes networks, frankly. If you look at networks, the news and the newscasts. I call it fake news. I am proud to hear the president use the term "fake news." If you look at what is happening with the networks and with different shows and, it is hard to believe that we win. It really shows that the people are smart and the people get it. They go through all of that whatever it is they're fed, and in the end, they pull the right lever. It is a dangerous situation. I agree that something has to be looked at closely. And some allies of President Trump are already "doing something about it." Representative Devin Nunes (R-CA) filed a lawsuit against Twitter and three of its users. President Trump’s re-election campaign has quietly spent nearly twice as much as the entire Democratic field combined on Facebook and Google ads. From December 10 to March 10, Donald Trump spent $4.5 million. Senator Elizabeth Warren (D-MA), by comparison, spent the next most on Facebook ads: $595,000. The tech company, Nunes said, “intended to generate and proliferate false and defamatory statements” about him. Representative Nunes also claims Twitter engages in the “shadow-banning” of conservative opinions and selectively enforces its terms of service to benefit opponents of the Republican Party. (Twitter long has denied that it has engaged in the tactic, called “shadow banning,” to censor users’ political beliefs.) Nunes claims Twitter sought to influence his 2018 reelection race and interfere with his investigation into Hillary Clinton’s presidential campaign and Russian involvement in the 2016 elections (Representative Nunes oversaw that inquiry as chairman of the House Intelligence Committee — a role he held until Democrats retook the House in January). Twitter’s failure to police mean tweets, puns and memes posted by accounts purporting to be his mother and cow caused him “extreme pain and suffering,” he said. Nunes is seeking $250 million in damages. Agreement on Reforming Section 230? Representative Nunes may be using the courts to attempt to change Section 230 of the Communications Decency Act, which grants tech companies broad legal immunity for content that users post on online platforms. These companies are viewed as distributors, not publishers, and are shielded from liability. Even if Nunes loses the lawsuit and any appeals, theorized former Wall Street Journal general counsel Stuart Karle, the congressman is creating an opening for the Supreme Court to reconsider defamation of public officials and overturn statute. Sec. 230 reform also got attention from Donald Trump Jr., who wrote in an op-ed on Sunday saying it is "high-time" for conservatives to heed recent suggestions from Senator Hawley to add a "viewpoint neutrality" provision to companies protected by the Sec. 230 provision to ensure conservative voices aren't silenced online. President Trump retweeted a link to the op-ed. Donald Trump, Devin Nunes and Ted Cruz are proving exactly why Section 230 is so essential – without protections, all online media would face an onslaught of bad-faith lawsuits and pressure campaigns from the powerful in an effort to silence their critics. The fact is, social media companies should be doing more to clean up their platforms, not less. Calls for government regulation of online speech and the business practices of private corporations run counter to everything conservatives claim to believe. Right now, everyone seems to be a critic of online platforms. But not everyone can agree on solutions. "[E]ven as consensus builds in Washington to rein in Big Tech's power," wrote Cat Zakrzewski, "it's not clear if the political parties will ever agree on how they want to bring down the hammer on the companies.” She continued, "While Trump did say last year his administration was looking at antitrust action against Facebook, Google and Amazon, his recently confirmed attorney general, William Barr, said he wants to 'find out more about the [market] dynamic' that allowed Silicon Valley titans to take shape under antitrust enforcers. And when it comes to the FTC, the Trump administration has favored deregulation and may be wary of giving a regulator more power or resource to take on such issues." Democratic lawmakers seem to favor strengthening the FTC and antitrust rules. The GOP seems to prefer antitrust rhetoric and Sec. 230 reform. The volume of the Big Tech backlash has increased, but it sounds like a (noisy) stalemate to me.